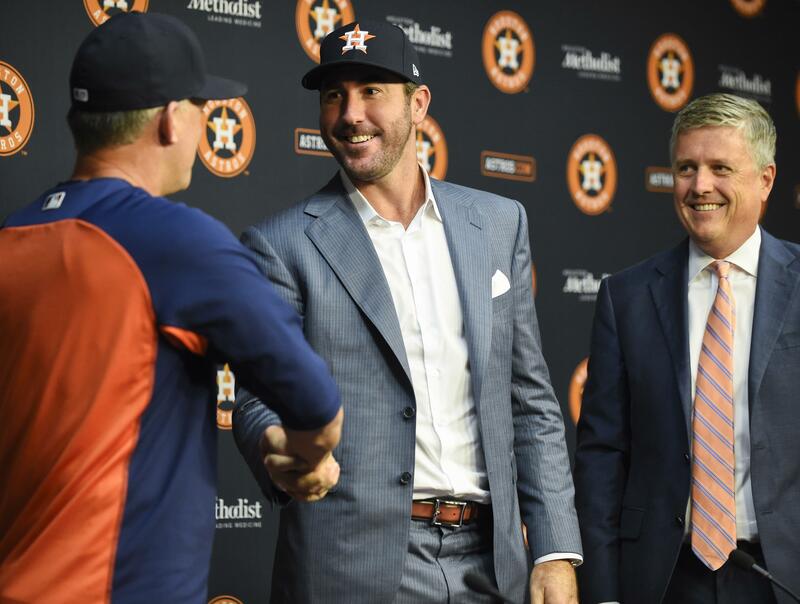 Verlander will make his debut for the Astros on Tuesday at Seattle. He’s already thought about what it will be like to pitch for team other than the Tigers for the first time in his professional career after he was drafted by Detroit in 2004. “It will be different in my routine and everything getting ready and just getting accustomed to everything around, but once you step on the mound it’s business as usual,” he said. Though he won’t actually play for the Astros for a couple more days, he has already received a warm welcome from Houston fans, getting a standing ovation on Saturday when he was shown on the big screen. Cubs star Javier Baez left the team’s game against the Atlanta Braves after he was shaken up on a headfirst dive into second base. … The New York Yankees put outfielder Aaron Hicks on the 10-day disabled list because of a strained left oblique, less than a month after he missed six weeks because of an injury to his right ribcage. Published: Sept. 3, 2017, 6:35 p.m.